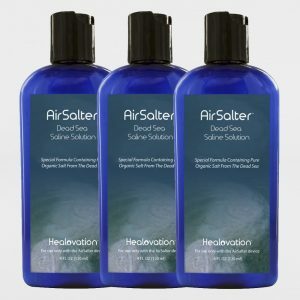 Portable Salt Therapy is a device that converts a Dead Sea salt into a salt aerosol. Works on frequency vibration technology to transform Dead Sea saline solution into salt particles. 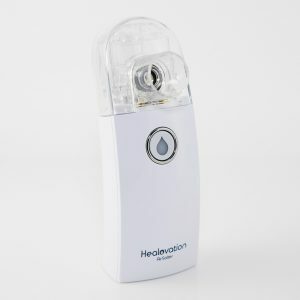 The particles, measuring below 5 microns in diameter, penetrate deep into the lungs, bronchi, bronchioles and alveoli, cleaning the mucus, killing bacteria, reducing inflammation and whole respiratory tract. 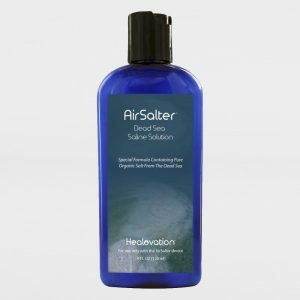 The salt aerosols have very good effect in cleaning the indoor air as well, due to the bactericide property of salt and the high concentration of negative ions that stick to the positively charged particles of dust, bacteria and viruses. The Portable Salt Therapy good also for skin conditions such as eczema and psoriasis. Note: * The device has to be used only with our Saline salt for the warranty to be in effect. Using a different kind of salt will void the warranty, as it can affect negatively the lifetime of the device! We do not guarantee same health results using a different kind of salt!